Interested in a high-performance Mercedes-Benz sedan? 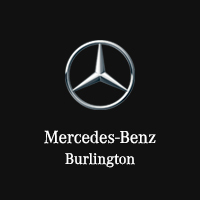 Consider the new Mercedes-Benz C 43, on sale now near Hamilton at Mercedes-Benz Burlington. It may not provide the most power in the C-Class lineup, but it still boasts speed and compelling fuel economy returns at a more affordable price. Browse your Mercedes-Benz AMG options, and once you find a Mercedes-Benz C 43 model you like, connect with the dealership to schedule a test drive!